If you’re trying to lose weight, consider beans your new best friend. Beans once received mixed reviews within the weight loss community; on the one hand, they’re high in carbohydrates, which discouraged many dieters. On the other hand, beans are complex carbohydrates, non-processed and natural, which means that they may be extremely effective for weight loss, especially when using them as a substitute for processed grains. Not only is eating beans for weight loss highly effective, but these fibre-filled, nutrient-rich legumes are budget-friendly to boot. White beans, kidney beans, lentils and lupine beans: There are a ton of different bean recipes for weight loss that can help you shed those pounds. Here are just a few bean recipes for weight loss to try at home. 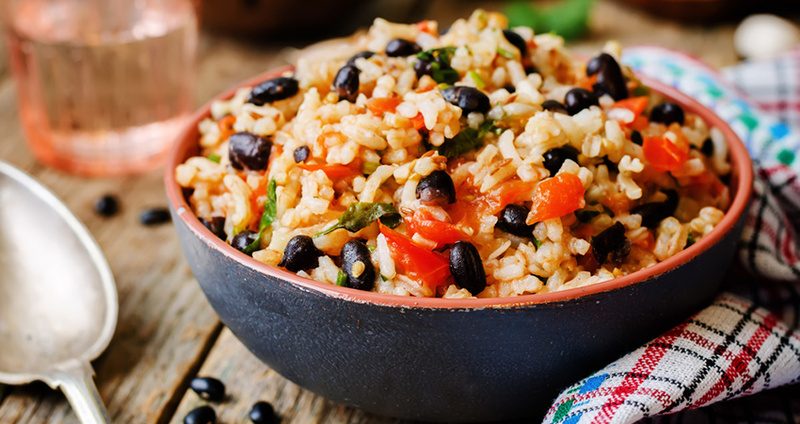 A basic recipe that is actually considered a staple in many Latin American countries, this simple dish of black beans and rice will fill you up and help you shed pounds. The recipe below includes broccoli and cilantro, but you can add any vegetables or spices you like to your own dish. In many countries, black beans and rice actually make for a hearty breakfast, so consider adding this dish to your morning routine. Eating pasta while trying to lose weight may not seem like the wisest choice, but hear us out. A reasonably-sized plate of pasta will keep you feeling full after a big workout, and when served as bean bolognese, it’s also very nutritious and packed with protein. To make this recipe extra healthy, try serving it over spiralled vegetable pasta, like zucchini noodles. Feel free to mix in different bean varieties as well. 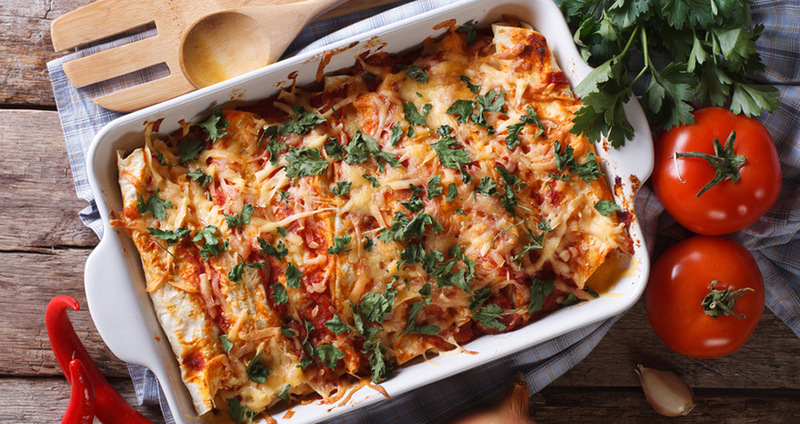 Made with good-for-your-diet black beans, these enchiladas have less fat and calories than the traditional meat versions. Scale back on the cheese and choose guac instead for a super-healthy version. Make these as spicy as you like! Soup is delicious all year round. Fortunately, it’s also easy to make, store, freeze, and reheat in a pinch. When made with white beans, soup is also great for your diet. This particular recipe is ultra-thick and creamy, but it doesn’t require all the dairy and carbs of traditional thick soups. The primary ingredient in the soup is white kidney beans. Spinach is added in for texture, flavor, and nutritional value as well. If desired, this soup can be topped with cheese. It is fantastic served with flatbread or another lower carb dipping option. Enjoy for lunch or dinner! Healthy snacks and side dishes can be difficult to come by. 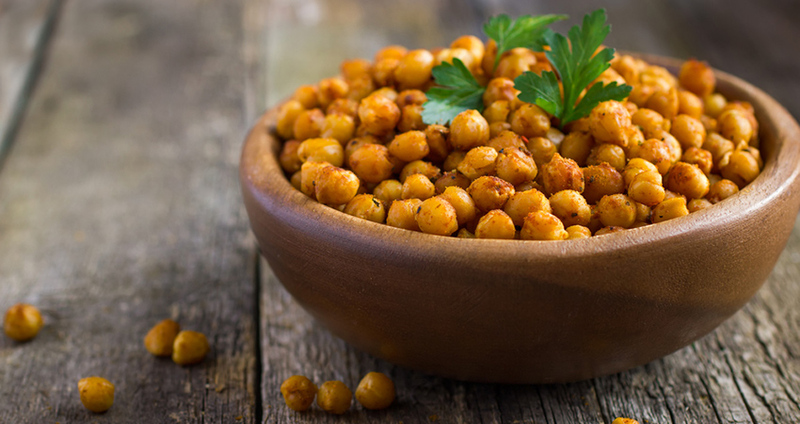 These spicy roasted chickpeas make a great substitute for chips to munch on, or they can be served as a part of a meal. This recipe is super simple and super delicious: All you have to do is season and roast. Many people have never even heard of lupini, but this type of bean, (popular in Italy) is extremely good for you and for your diet. 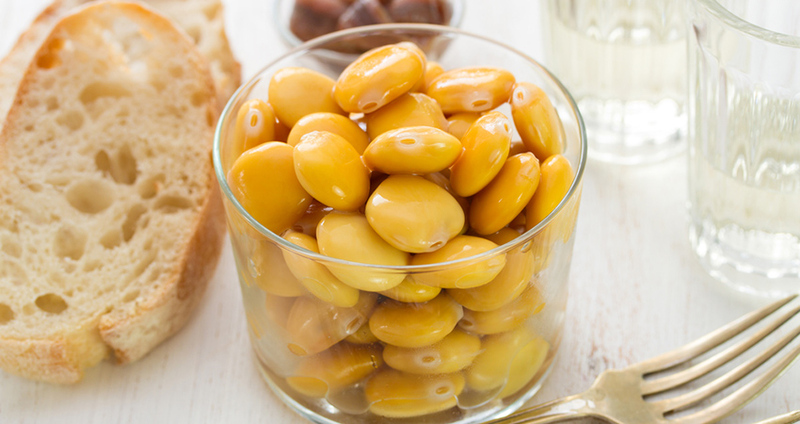 Unlike most other beans, lupini tend to be cooked and then eaten out of their little shell. Most people don’t eat lupini whole because they can be bitter. A traditional holiday dish in many Italian households, lupini served with olives is surprisingly tasty for being so simple. One of the most popular comfort food dishes around, chili is a staple among many households, especially during the cold winter months. This version below is loaded with weight-conscious black beans and skips the ground beef, but feel free to add lean ground turkey for extra protein.